The position of Cornell’s Medical School within the greater institution is a bit awkward. For the most part, unless one is associated with something in the medical field, or lives in the New York City area, we’re liable to forget it exists; it is, after all, located in Manhattan, on the Upper East Side. 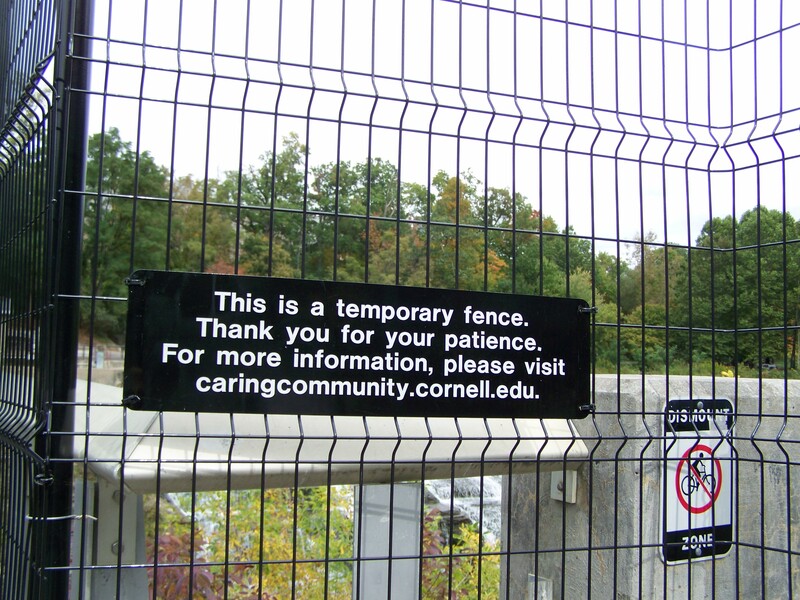 However, this isn’t to say the school isn’t a valuable asset of the university; it’s just really disconnected from many of Cornell’s affairs. With 400+ doctors-to-be and over 1,000 academic staff, the medical branch of our university manages to exert a significant influence. Historically, the med school operated out of both Ithaca and New York City. The New York City portion was established in 1898 as Cornell University Medical College, and included women as well as men. The Ithaca branch operated out of Stimson Hall and paralled the first two years of the NYC branch, but was closed in 1938 due to declining enrollment. Ithaca was always seen as too small of an environment to allow for adequate medical training. Until its closing, the Department of Surgery was based out of Cornell proper and was originally led by Dr. Lewis Stimson, for whom Stimson Hall is named. Back in the days of its opening, one did not have to have previous college education to begin medical school; Johns Hopkins and Harvard first mandated prior education in 1907, and Cornell followed suit the following year. The results were disastrous at first, with the standard class size of 70 dropping to 3 for the entering class in 1908, and from 35 to 11 in Ithaca. Total enrollment went from 320 in 1907/08 to 118 in 1911/12, and finally back up to the low 300s by the early 1920s (Bishop 385). Through some negotiating with George Baker, a governor and wealthy benefactor of New York Hospital, an affiliation agreement was arranged between the medical school and the hospital in 1913, and in June 1927 the two became formally intertwined as New York Hospital Cornell Medical Center (this included a nursing school run by the hospital that then came under Cornell’s academic umbrella starting in 1942). George Baker is also the same guy who’s name adorns Baker Tower and Baker Lab on the Ithaca campus. Although the hospital and college were part of the same complex, they were largely autonomous and ran under their own supervisory groups. Realizing the financial power of a large medical institution, “The Society of the Lying-In Hospital of the City of New York”, essentially an ob/gyn clinic, joined the complex in 1928, and the Manhattan Maternity and Dispensary joined the complex in 1929 and became the pediatric unit. A children’s hospital would join the mix in 1934, and the three institutions formally merged into the New York Hospital in 1947. The iconic art deco tower (Baker Tower) of the medical school opened in September 1932 (patients were first received at the hospital at 10 AM on the 1st, and medical students began classes there on September 26th). Image property of WCMC archives. The Graduate School of Medical Sciences was established in 1952, and the NY-Cornell nursing school closed its doors in 1979. 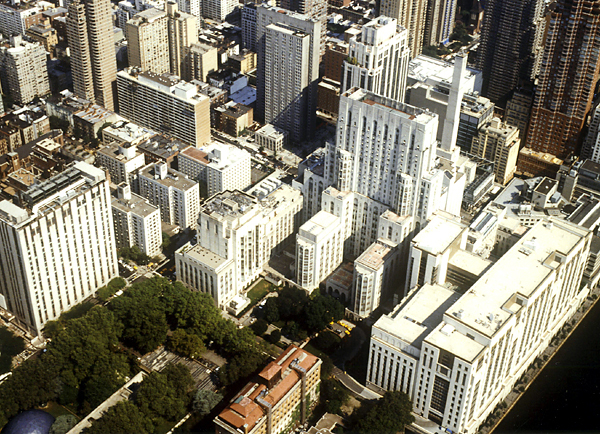 In 1997, the large building that defines the eastern portion of the complex, the Greenberg Pavilion, was opened, and New York Hospital merged with Presbyterian Hospital the same year (which has an affiliation with Columbia University; the two still maintain separate facilities, so it’s basically one giant unholy mass of conglomeration). The medical school was renamed for major donor and Citigroup billionaire Sanford Weill and his wife in 1998, becoming the Joan and Sanford I. Weill Medical College of Cornell University, or Weill Cornell Medical School (WCMC) for short. The college has been home to the first eye bank in the United States (1944), the first kidney transplant (1963) and MRI Machine (1983) in the New York area. In the meanwhile, a new 15-story $650 million 330,000 sq ft building is underway. You can tell how much I care about New York City by the number of times I’ve referenced it on this blog. Which I think is once…if ever. WCMC Qatar was established in 2002 by Cornell and the Qatar Foundation, and began instruction in 2004. For those who are unsure, Qatar is a small, wealthy Middle Eastern country slightly more conservative than Dubai in the UAE, and just as rich. The Qatari royal family has invested through the Qatar Foundation a vast sum of money into its “Education City” complex, with one of those facilities being Cornell’s Qatari medical school (WCMC-Q). Other schools invested in Education City include Carnegie Mellon, Georgetown and Northwestern. Cornell was its second affiliation, after Virginia Commonwealth University four years earlier. WCMC also has an affiliation with the Bugando Medical College in Tanzania that began in 2007. WCMC-Q in Doha. Image from Wikipedia.